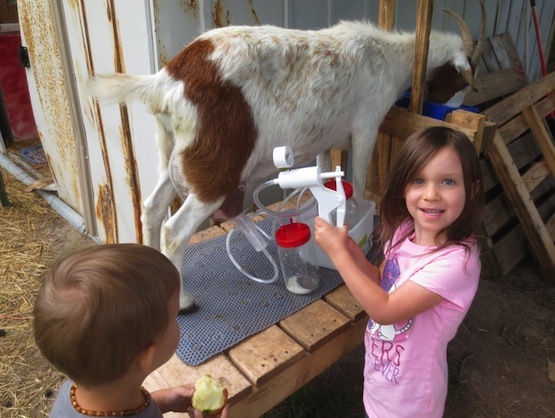 Share your goat milking chores. We are all slaves to our animals, we think no one can take the care we do in feeding, grooming and especially milking our goats. It is unusual when you can find someone who can learn to milk a goat by hand without several tries; the goat usually is not having fun either. The Henry Milker can be used by anyone. 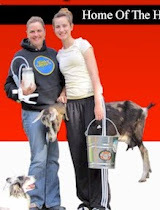 A child, your best friend or your spouse can be taught to milk your goat with ease and in moments. 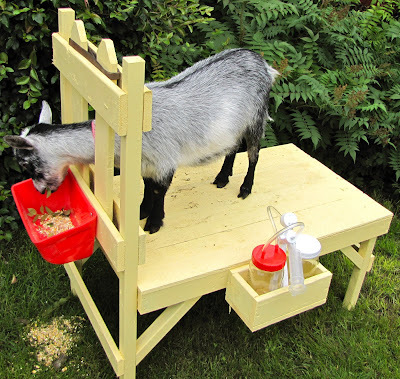 This finally gives goat owners a break and have someone else do the milking chores. 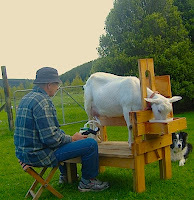 The photo is from a customer in New Zealand. She wanted to have something for her husband so he could help with the evening milking chores. I never had a problem finding a volunteer to milk Frosty with my Henry Milker.. that's the easy & fun part! The problem I always worried about was cleanliness. 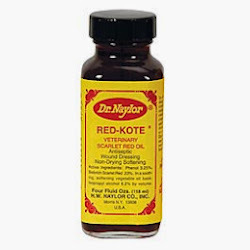 Most folks helping didn't seem to think it was necessary to thoroughly wash the teats/udders before hand. In the end, NO ONE does it as well as you do!